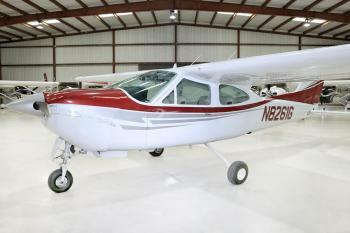 1971 Cessna 177 RG Cardinal, 4604 TT, 245 SMOH (Penn Yan), 245 SPOH Trade In’s Welcome! Call for Details! Airframe: 4604 Total Time Since New Engines: Engine(s)245 Since Major Engine Overhaul (Penn Yan) Props: Prop Specs245 Since Prop Overhaul......more. 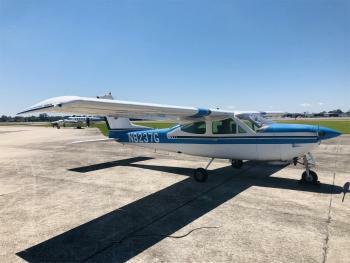 1971 Cessna 177RG Cardinal RG | N8237G, 3815 TT, 1615 SFOH | Call for Digital Logbooks Airframe: 3,815 Hours Total Time Engine(s): Model: Lycoming IO-360-A1B6 Serial #: RL-2649-51A Since Factory Overhaul Time: 1,615 Hours Overhaul Date: 4/27/94 Overhauled By: Textron Lycoming Props: Prop SpecsModel: McCauley B2D34C207-B Serial #: 120635 Since New: 397.9 Hours Install Date: 12/4/2012......more.